Driving around can be incredibly irritating. In between tailgatings, double-parkings and reckless overtakes, we shout expletives at ourselves or at those fellow drivers who annoyed us. But let’s face it, none of that aggression is going to make our drive pleasant. However, the folks at The Alphabet Press don’t believe in being silent about these things. Something has to be done. 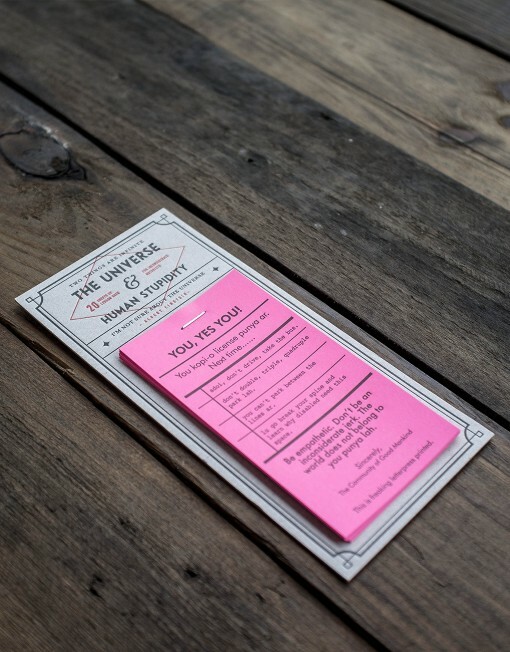 So they printed these ‘summons’ in cute little pink slips that you can issue to any inconsiderate motorists to satisfy your need to express your sardonic passive aggression at people who double park (or triple, or quadruple park). 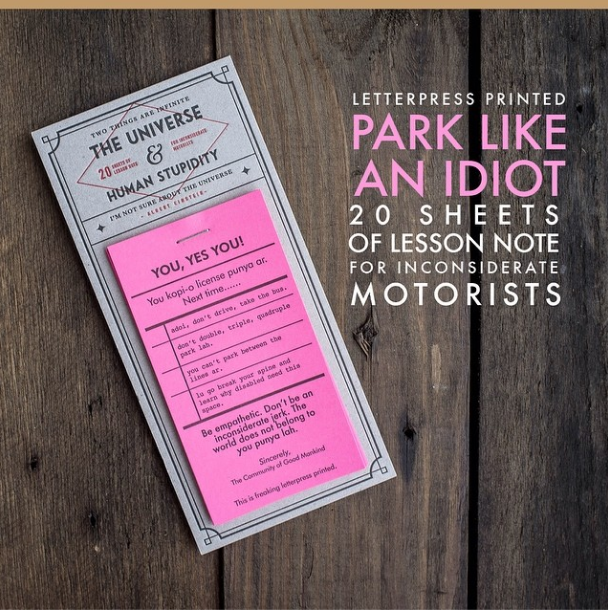 These notes are printed with traditional letterpress techniques: The Alphabet Press uses 1960s German vintage presses to create deep impressions on the paper. All of their stationary, including these notes, are created in-house by a team of craftsmen, and can be bought online for RM8.